Bennett was rescued by our friend and owner of Wag Time Doggie Day Care in Arlington, TX when she found out about him at a local shelter. 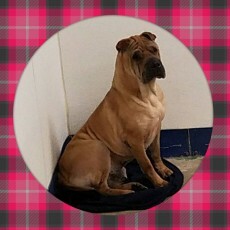 He is typical Star-Pei. He can be independent but is a love bug and affectionate when he wants to be. I'm sure he would bond very strongly with a family of his own. 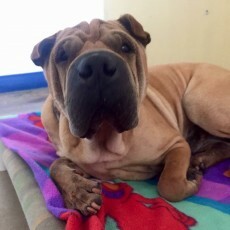 He is dog friendly and she was told he came from a family with multiple children that he loved. 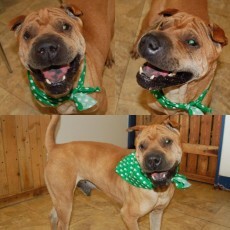 He does love his food and is not gentle when taking treats so a home without small children would be best. 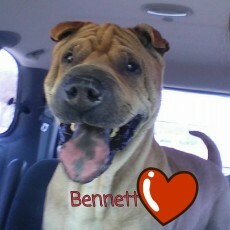 Bennett is neutered, current on vaccinations and ready for his forever home.